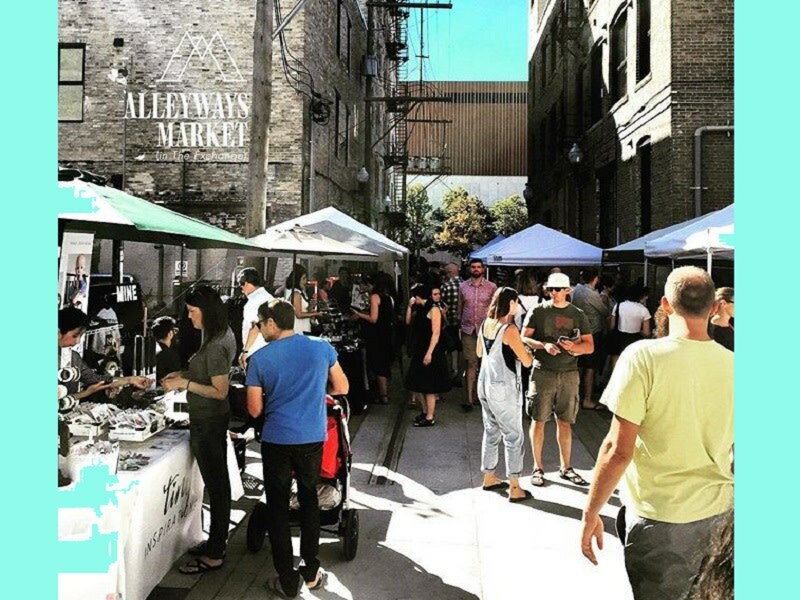 Alleyways Market takes over the back lane at Elgin Avenue in the East Exchange district for four Fridays this summer. With a winning mix of handmade goods, ready to eat snacks and fresh, locally produced food to take home, you don’t want to miss it. The idea of a farmers market in the Exchange District has been suggested numerous times over the years. When we put our minds to it, we decided that the neighbourhood deserved something a little bit different from the standard approach. A distinctly creative and urban neighbourhood in the heart of downtown Winnipeg, the Exchange District’s shops, dining and entertainment experiences draw activity, excitement and foot traffic. Unique galleries, fantastic venues and a broad variety of businesses and residents make it one of the most vibrant areas of the city. It’s easy to see why it has become the focal point of some of Winnipeg’s best attended and renowned festivals. We think the Exchange should have something that matches the neighbourhood’s eclectic, creative, and discerning character. The Exchange District BIZ in partnership with luckygirl POP UP are bringing back for the 3rd year in a row a distinctly Exchange District take on the outdoor market. Half farmers market & half curated pop-up shop, the Alleyways Market runs from 4pm to 10pm, four nights this season. Local businesses, artisans and restaurants are pulling together to create a relaxed and fun atmosphere that celebrates Winnipeg’s Exchange District while giving something back to the many people who call it home.